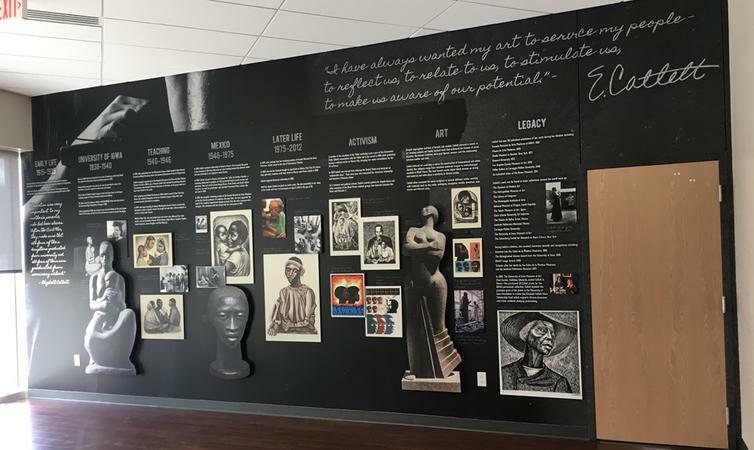 In 1938 Catlett enrolled in the first graduate arts program in the nation at the University of Iowa; she was one of only three female students and the only African-American student in the program. 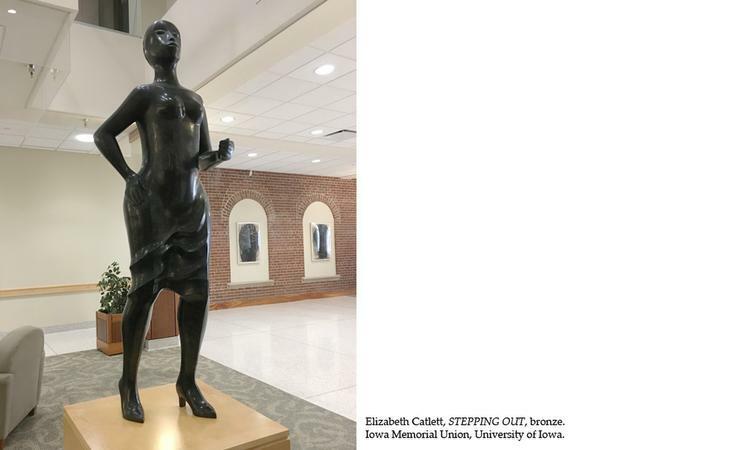 Her teacher, Grant Wood (1891 – 1942), was primarily a painter but also an expert carpenter and introduced Catlett to the notion of focusing on sculpture. 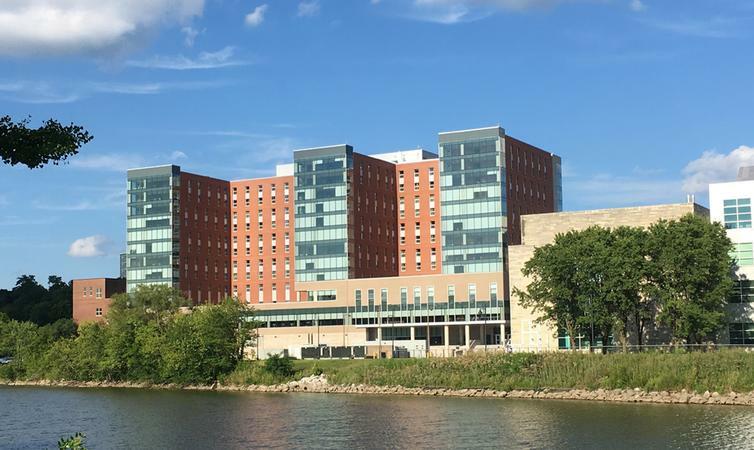 Fast forward to July 29th, 2017, more than 70 years after Catlett graduated, the University of Iowa has dedicated a new housing facility with capacity at 1000 students and named it in honor of Elizabeth Catlett. 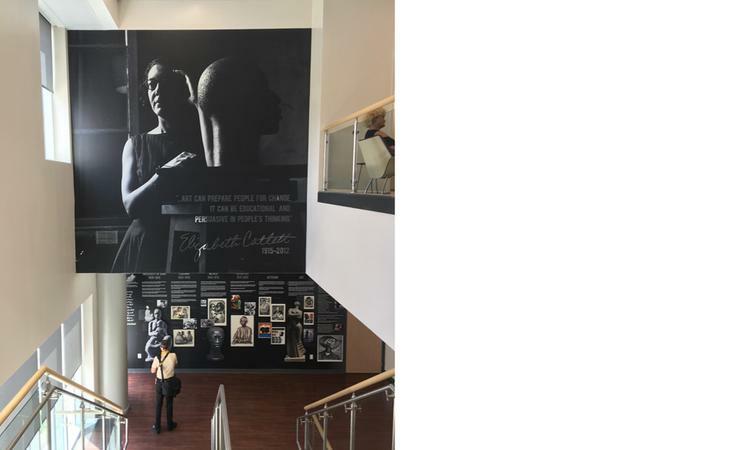 Permanent murals in the public areas of the residence hall tell the story of her career.